Hi there! It's Becky and Glenna from My Paper Craze substituting in today! We're so excited to be here and share with another great tutorial! We love, love, love that our Silhouette is so versatile! We've found another great paper crafting tutorial that you guys are sure to love! Are you familiar with heat embossing? It's a great little method of adding dimension and pop to your paper crafts, especially scrapbooking and handmade cards. I love it because I didn't have to go buy those expensive embellishments at the craft store to give my layouts that wow factor (you'll see what we mean). Heat embossing is traditionally useful with stamps, as you can use a Tsukineko VersaMark Inkpad, but we're going to use the pen version to create a fun look using your Silhouette. This tutorial piggy-backs on the same concept as using sketch pens/pen holders to draw a design onto paper (or other medium). 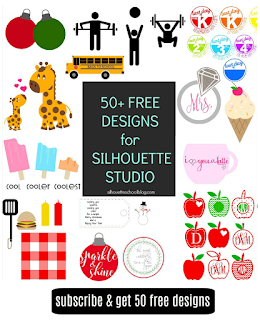 If you need a refresher, be sure to visit the Silhouette Sketch Pens Tutorial for Beginners. Heat embossing can be done alone, especially in terms of stamping, but it's really more of an embellishment to a project (in our case, a Mother's Day gift tag). We used this simple project to demonstrate the basic concept, but heat embossing would be beautiful on any paper craft, so don't limit yourself. Think of subway art, enhancing printables, upcoming Teacher Appreciation gift tags. To start, set up your file in Silhouette Studio. As with sketch pens, you'll need to decide what lines are going to be cut and what lines are going to be sketched. We're working on a print and cut file, so we set all lines to "NO CUT" except for the basic outline around the tag and in the middle of the circle (where the ribbon/string threads). After your file is set up, proceed to completing the Print and Cut portion. Now here's the important part to remember... DO NOT REMOVE THE CARDSTOCK FROM YOUR CUTTING MAT AFTER YOU HAVE CUT THE DESIGN. 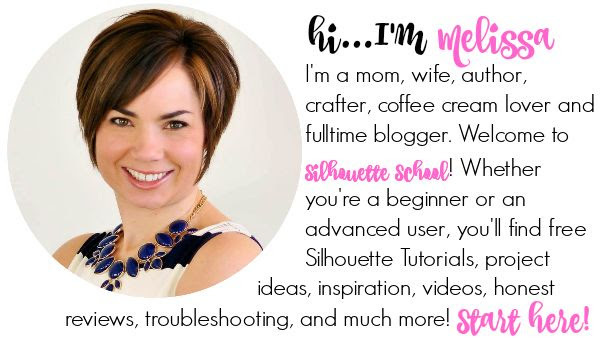 You'll go back into Silhouette Studio , update your Cut Settings. Select "CUT" and under Material Type, select "Silhouette Sketch Pen" If you are unfamiliar with using sketch pens and pen holders, we strongly urge you to visit Silhouette Sketch Pens Tutorial for Beginners. Once your settings are updated, you'll remove the standard silhouette cutting blade and insert your Silhouette Pen Holder and Tsukineko Dual-Ended VersaMarker Pen. Again your mat and cardstock should remain loaded in the machine at all times. After double-checking your cut settings are correct, Send to Silhouette and sketch the design using the embossing pen. 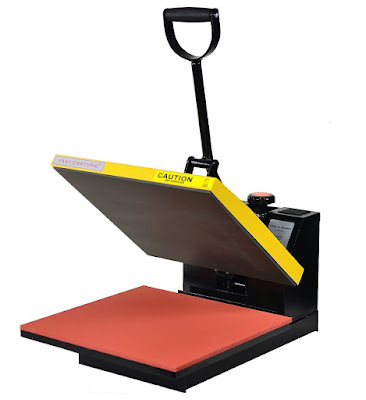 NOW YOU CAN REMOVE your cardstock from the cutting mat. Pretty quickly, you'll want to grab your WOW! Embossing Powder and Darice Embossing Multi-Purpose Heat Tool. The line you just sketched with the embossing pen will be wet for the embossing powder to adhere to. On a clean surface, sprinkle the embossing powder over the pen line (don't be shy, apply generously - you can always shake the excess contents back into the bottle). 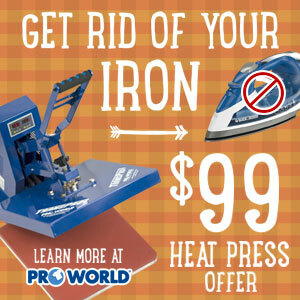 This next part involves the embossing heat tool, which puts out a VERY HOT stream of air. Think of a blow dryer on steroids --- keep your fingers out of the way. If possible, hold the tag with a pair of tweezers (or reverse tweezers) on a safe heating surface (we use a wood block, but a kitchen counter seems to work fine, too). You'll direct that heat flow in a circular pattern over the heat embossing powder. If you pay close attention, you'll actually be able to see the powder melt and adhere together. 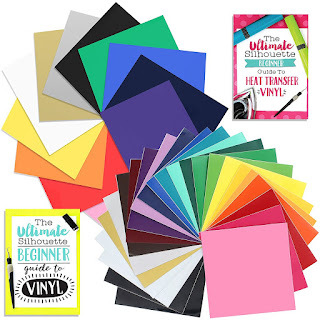 I know it might not seem like a lot if your niche is vinyl or t-shirts, but for us paper crafters, this is genius! Maybe a gift tag isn't the best use (just a simple demonstration), but those of us who spend small fortunes on scrapbook embellishments will love adding this tool to our arsenal for dressing up layouts! Hey Lilian, what kind of vinyl are you using? I have had issues with indoor vinyl before with adhering to paint. Let us know! She's using the Silhouette vinyl that came with her portrait. It may be about three years old now if that makes a difference. She also mentioned to me that the paint didn't go on as easily on the front flap of the mailbox where she was trymh to put the vinyl. It would be my guess, Lilian, that it's the vinyl. 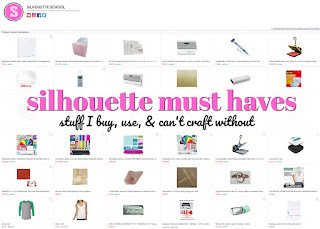 A few years ago Silhouette was only selling indoor vinyl, which isn't what you'll need for outdoor use. 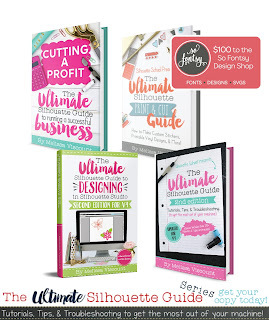 I would suggest either ordering the new Silhouette permanent vinyl or checking out an online vendor, such as Expressions Vinyl, for some permanent adhesive outdoor vinyl. It sticks to just about anything. Thanks Becky, I'll pass that on to her. I didn't think about that at all. Being in Canada it's much harder to get vinyl from expressions due to the high mailing cost, but maybe from local sign writer she may be lucky. I was wondering though if you've done multiple items on one sheet (like maybe 6 tags) and if the pen stayed wet enough? I haven't, Dez, we only did the one tag this time. I would imagine (just an assumption) that as long as it was a good marker/pen, and it was being used and not sitting out to dry, you should be able to use it for larger projects. I tried this technique some time ago and I found that the market was not juicy enough for the embossing powder to stick. Hmmm, that's odd Linda, were you using the same brand pen? Was it relatively new (not running low on ink?). What settings did you use? We sure don't want anyone having issues with using this process, if you have any tips or pointers we'd love to hear them! Slow down the speed to 1 for best result. A dubblecut can sometimes be needed. Also do store the pen with preferred tip downwards. Question; I have the Amy Chromas ... but it's too narrow for the Versamark.... any other ideas because i have the PERFECT card I want to try this on. Thanks!